Anne Neville was born at Warwick Castle, the younger daughter of Richard Neville, 16th Earl of Warwick (1428-1471) and Anne Beauchamp (1426-1492). 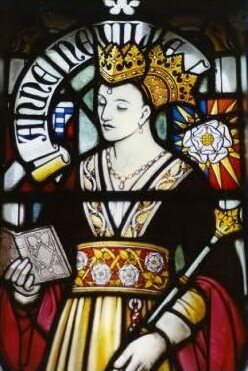 Anne was born at the beginning of a tumultuous time in the history of England later to be known as the Wars of the Roses between the rival houses of Lancaster and York. Her mother was the daughter and heiress of Richard Beauchamp, 13th Earl of Warwick, and his second wife Isabel Despenser. Anne's father, the powerful and influential Earl of Warwick, known as 'Warwick the Kingmaker', was the most important supporter of the House of York. Her grandfather's sister, Cecily Neville, had married Richard, Duke of York, who first claimed the crown from Henry VI of Lancaster for the house of York and started the Wars of the Roses. Her mother Anne Beauchamp became heiress to the vast Beauchamp estates following the death of her brother, Henry, and her niece Anne Beauchamp. Anne grew up at Middleham Castle , in Wensleydale, Yorkshire, one of her father's many properties. After the death of Richard, Duke of York at Wakefield in December 1460, his younger sons, George, Duke of Clarence and Richard, Duke of Gloucester, came into Warwick's care, and both lived at Middleham with Warwick's own family. Anne and Richard were first cousins once removed, both descended from Ralph Neville, Earl of Westmorland and Joan Beaufort, the daughter of John of Gaunt, Duke of Lancaster, 3rd surviving son of Edward III. With the aid of Warwick, York's eldest son became King Edward IV in 1461. For the first three years of Edward IV's reign, Warwick was virtual ruler of England. A popular figure with the people due to his naval victories off Calais and the captured Spanish and Genoese ships he brought into the city, any Londoner who was acquainted with any of his servants was allowed to take as much meat from his kitchens as he could carry on a dagger. The seeds of discord were sown when Warwick attempted to negotiate a marriage alliance with France for Edward for the hand of Bona of Savoy, only to discover on his return that the king had secretly married Elizabeth Woodville, the widow of Sir John Grey, a Lancastrian knight. Elizabeth, who proved to be avaricious and grasping, quickly persuaded her besotted spouse to arrange advantageous marriages amongst the nobility for her large and needy family. Deeply offended, the proud and haughty Warwick came to detest the new queen. Edward's brother, George, Duke of Clarence also heartily disliked the new Queen. Warwick, who possessed influence over George and under whom he had been brought up, wished to arrange a marriage between him and his eldest daughter and co-heiress, Isabel. The King refused to sanction the match, in defiance of his brother, Clarence married Isabel at Calais. Further ill-feeling and suspicion being engendered on both sides culminated in Warwick and Clarence's open revolt, Edward's forces were defeated by them at the Battle of Edgecote Moor in 1469, and the king himself captured. Warwick attempted to rule England in Edward's name, but a counter rebellion forced the king's release. In a subtle stroke of diplomacy, Louis XI of France, known as the Spider, reconciled the discontented Warwick with the Lancastrian queen, Margaret of Anjou, then in exile in France, no mean feat, since they were bitter enemies and Margaret had executed Warwick's father, Salisbury. Warwick is reported to have spent hours on his knees before Margaret before she would consent to the alliance. Anne Neville, then aged fourteen, was betrothed to Margaret's sixteen year old son, Edward of Westminster, the Lancastrian Prince of Wales. at the Château d'Amboise in France. They were married in Angers Cathedral, probably on 13 December 1470. Warwick restored Henry VI to the throne in October 1470 making Anne Princess of Wales. However he was defeated and slain by Edward in the Battle of Barnet in April 1471. 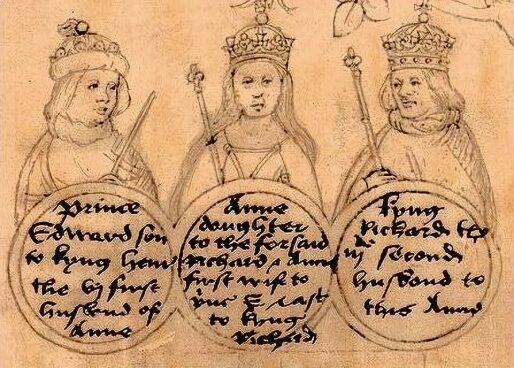 Margaret of Anjou accompanied by her son Edward and Anne, had just arrived in England. On hearing news of the disaster at Barnet, she considered returning to France, but Prince Edward persuaded her to gamble for victory and she led her army northwards in the hope of joining forces with Lancastrian supporters in Wales, led by Jasper Tudor, Henry VI's half-brother. Intercepted by Edward IV, she had no choice but to meet him in battle at Tewkesbury on 4th May 1471. Margaret and Anne took refuge in a religious house some distance from the battlefield, her son, Edward, Prince of Wales, was killed either in battle or during its aftermath. There are several versions concerning how Edward met his end, one states he was cut down as he fled north in the aftermath of the Battle of Tewkesbury. Another states that following the rout of the Lancastrians at Tewkesbury, a small contingent of men under the Duke of Clarence found Edward near a grove, where he was immediately beheaded on a makeshift block, despite pleas for mercy to his brother-in-law Clarence. An alternative version was given by three other sources: The Great Chronicle of London, Polydore Vergil and Edward Hall, which was the version used by Shakespeare. 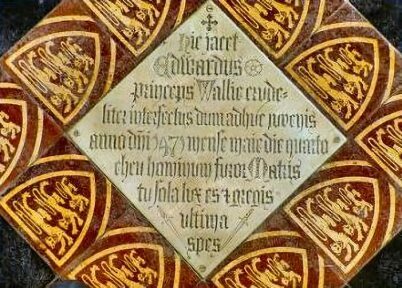 This records, that Edward, having survived the battle and was taken captive and brought before Edward IV who was with George, Duke of Clarence; Richard, Duke of Gloucester; and William, Lord Hastings. The king received the prince graciously, and asked why he had taken up arms against him. The prince replied defiantly, "I came to recover my father's heritage." The king then struck the prince across his face with his gauntlet hand and those present with the king then suddenly stabbed Prince Edward with their swordsand Anne, along with Queen Margaret of Anjou, was captured by the Yorkists. Edward, Prince of Wales was buried at Tewkesbury Abbey. Henry VI was murdered at the Tower of London soon after. Anne was taken to Coventry from Tewkesbury then moved to her sister Isabel and the Duke of Clarence's home in London. Richard of Gloucester, then in his late teens, requested, and was granted, permission to marry Anne, who was co-heiress to her father's vast estates. Clarence, who was eager to secure the whole Neville inheritance for himself, opposed the marriage. There are varying accounts of what happened subsequently, one states that she escaped from Clarence's household and sought refuge in a London cookshop disguised as a servant. Richard is said to have traced her and escorted her to sanctuary at the Church of St Martin le Grand. The couple were married on 12th July 1472, at Westminster Abbey, Richard and Clarence then engaged in a lengthy dispute over who should inherit a bulk of the Neville and Beauchamp estates, although Anne's mother, Anne Beauchamp was still living, her property was divided beteen her two sons-in-law. Richard and Anne made Middleham Castle their home, the marriage produced one child, Edward Plantagenet, who was born at Middleham in about 1473. King Edward IV died on 9 April 1483 and Richard of Gloucester was appointed Lord Protector for Edward's 12-year-old son, Edward V. On 25 June 1483, Edward and his brother Richard, Duke of York, were declared illegitimate, leaving the path for Richard to ascend the throne as King Richard III. Anne was crowned Quen of England on 6 July 1483 at Westminster Abbey, her son Edward was unable to attend his parents' coronation, probably due to an illness. He was created Prince of Wales and Earl of Chester at York Minster on 24 August 1483. She seems to have had a good relationship with her mother-in-law and aunt, Cecily Neville, Duchess of York, with whom she discussed religious works, such as the writings of Mechtilde of Hackeborn. Tragically, on 9th April, 1484, Anne's only son, Edward of Middleham, a delicate child, died at the age of ten, at Sheriff Hutton in Yorkshire, possibly of tuberculosis. Both Anne and Richard were said to have been distracted with grief. Many in that superstitious age saw it as divine retribution for his treatment of his brother's sons. 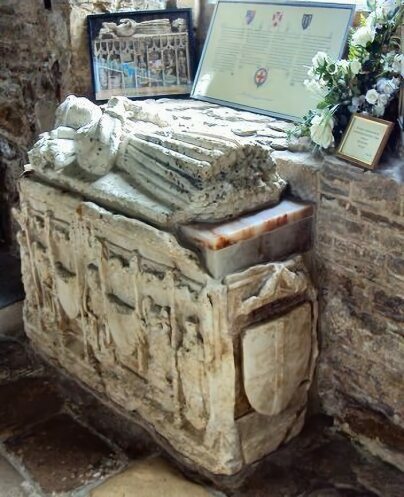 The mutilated white alabaster effigy, believed to be that of Edward of Middleham, in the church at Sheriff Hutton is not a tomb but a cenotaph (i.e. it is empty). 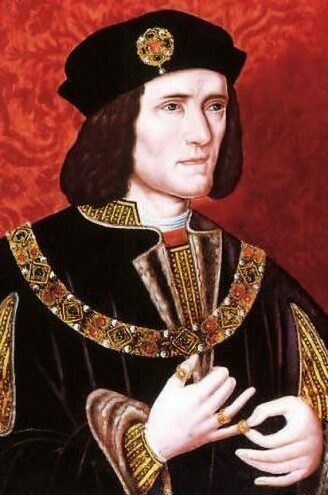 The monument was dimantled at some unknown date, attempts at cleaning and conservation were made in the nineteenth century and the monument was finally reassembled in the twentieth century and provided with a new core and damp course at the expense of the Richard III Society. After the death of his son and heir, rumours arose that Richard planned to divorce Anne and marry his niece, Elizabeth of York. However, there is little evidence for this. Following the death of her son, Anne effectively adopted Edward, Earl of Warwick, the nine-year-old son of George of Clarence and her sister Isabel, Isabel had died in 1476 and Clarence had been executed in 1478 for plotting against Edward IV. Edward was therefore the nephew of both Richard and Anne. Richard made the boy his heir presumptive, probably in deference to Anne's wishes. ANNE NEVILL 1456-1485 QUEEN OF ENGLAND YOUNGER DAUGHTER OF RICHARD EARL OF WARWICK CALLED THE KINGMAKER WIFE TO THE LAST PLANTAGENET KING RICHARD III. "In person she was seemly, amiable and beauteous...And according to the interpretation of her name Anne full gracious" REQUIESCAT IN PACE. The quote is taken from the Rous Roll in the British Library.